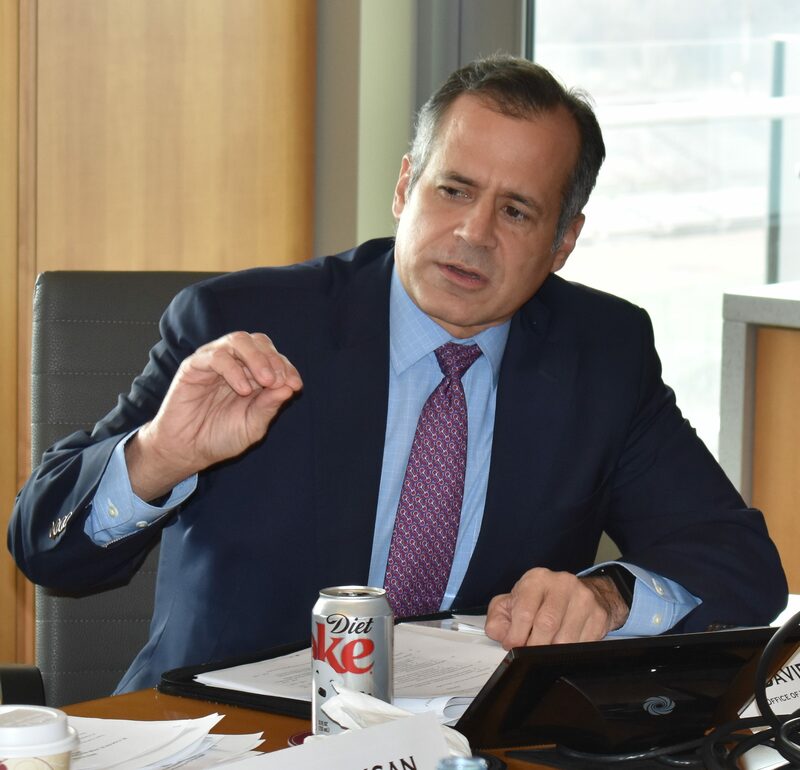 At its first quarterly meeting of 2017, Indiana University’s Council of Regional Engagement and Economic Development heard briefings on efforts to develop and retain skilled labor in Indiana’s workforce, details about IU’s upcoming Bicentennial celebration and changes planned for its third annual E2E Convergence event. 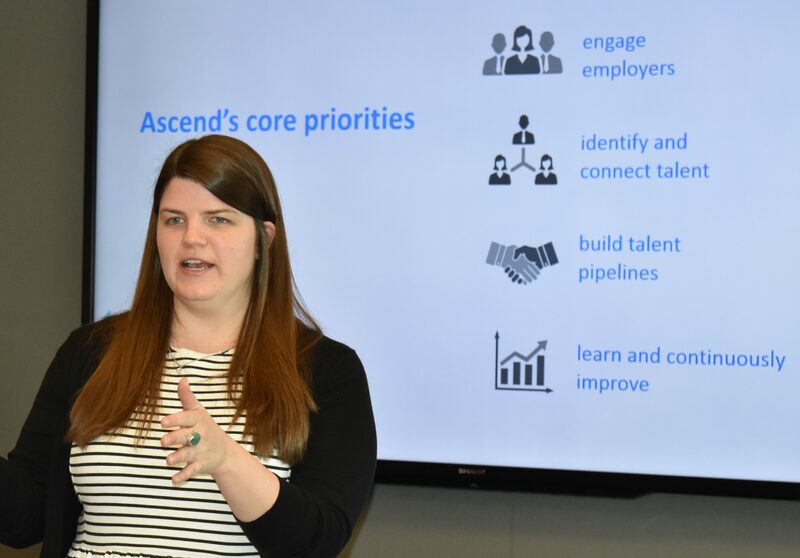 The vice president of Ascend Indiana, Sally Reasoner, discussed her organization’s “personalized” approach to keeping high-skill, high-paying jobs in Indiana. According to Reasoner, just 42 percent of central Indiana residents hold a post-secondary degree. Meanwhile, high-demand fields such as life sciences, engineering, information technology, health, manufacturing, logistics and financial services are below market demand by more than 200,000 workers. Ascend Indiana Vice President Sally Reasoner explains the initiative’s priorities in working to reduce the shortage of skilled workers in Indiana’s labor force. 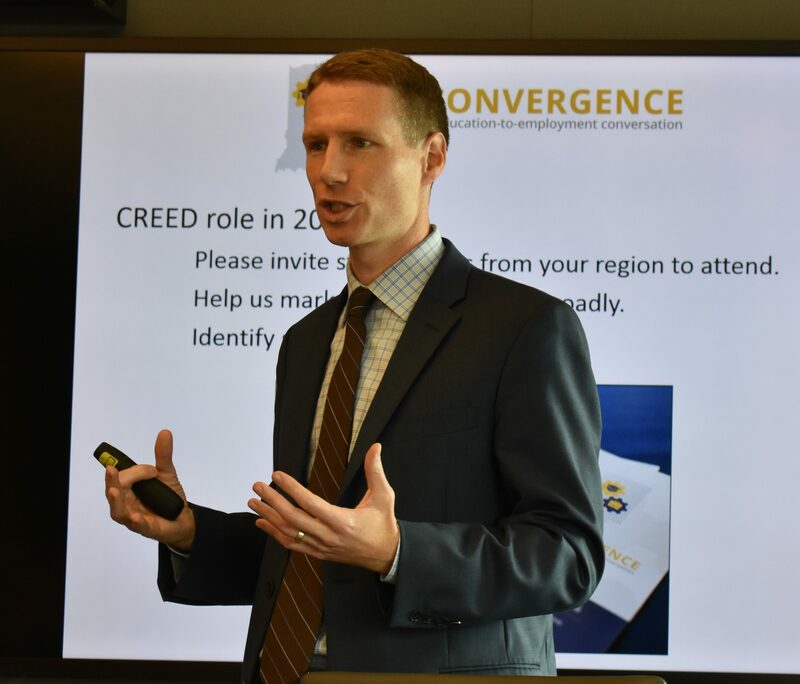 By identifying skilled talent through direct recruitment, “intelligent” matching with appropriate employers and establishing talent “pipelines” between employers and education providers, Ascend Indiana — an initiative launched in October 2016 by Central Indiana Corporate Partnership — believes it can do a more effective job of keeping college graduates in Indiana not only one year after gradation, but five years as well. So far, Ascend has more than 35 employer, education and community partners — including IUPUI and IU’s School of Global and International Studies — as well as philanthropic support. As IU approaches its Bicentennial in 2020, efforts to recognize this milestone event already are well under way, said Kelly Kish, deputy chief of staff for IU President Michael A. McRobbie. 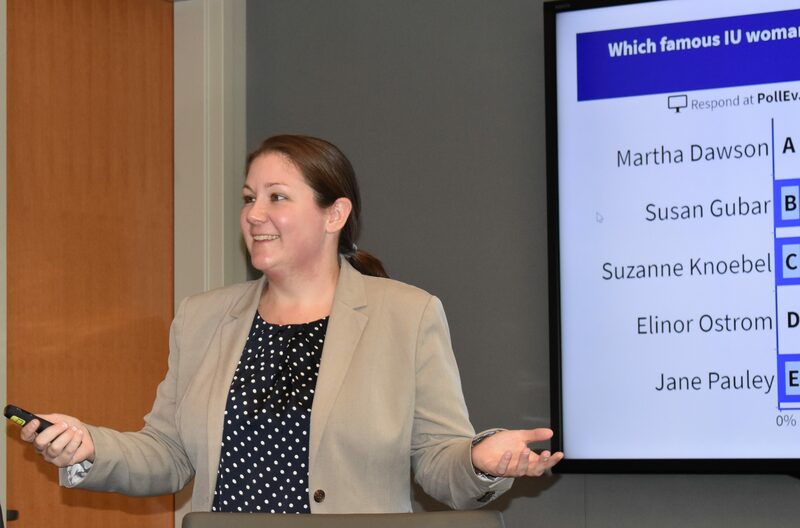 Kelly Kish, deputy chief of staff for IU President Michael A. McRobbie, gives a pop quiz to CREED members during a presentation on the upcoming IU Bicentennial celebration. Through the inspiration and wisdom of IU’s late Nobel Laureate Lin Ostrom, asks how the role of public higher education can be reclaimed as a shared and crucial resource for the common good — as well as how IU can continue its contributions toward this good. Establishes that IU is the ideal seat of this emphasis, owing to the interdisciplinary and globally impactful scholarship on the commons, the common good, public goods and public uses developed at IU throughout the past half-century. 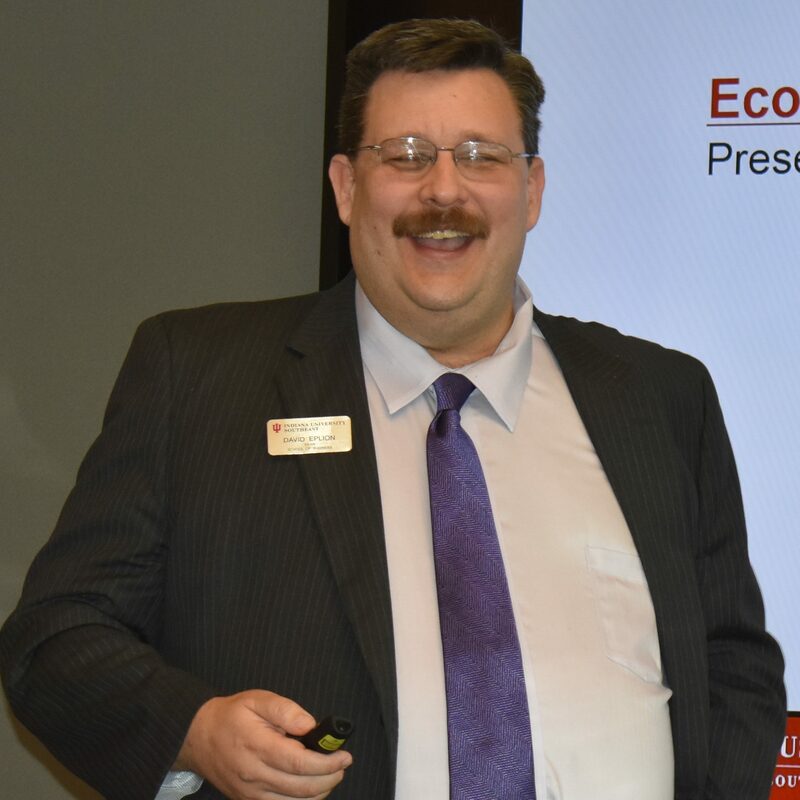 Joe Carley, IU’s associate director for economic development, gives an overview of the upcoming E2E Convergence event set for April 20. IU’s third-annual Education-to-Employment (E2E) Convergence, set for April 20, will look a bit different than its predecessors, said Joe Carley, IU’s associate director for economic development. Rather than be organized as a day-long event, the conference is now set from 11:30 a.m. to 2 p.m. Keynote speakers currently are being finalized, along with contributors to a panel discussion to be moderated once again by WTHR-TV weekend news anchor Naomi Pescovitz. IUPUI’s Campus Center will continue to host the event, which serves as a statewide forum designed to ensure that Indiana college students encounter a smooth transition from education to employment. As in past years, the 2017 E2E Convergence will bring together representatives of higher education, state government, workforce development and industry to learn, network and share best practices to produce more career-ready talent throughout the Hoosier State. David Eplion, dean of the IU Southeast School of Business, offered a brief overview of its programs, progress and plans for the future. Ranked as high as 4th among public business schools in the Midwest, the school also has been rated as a “Best Business School” by the Princeton Review each year since 2007 — and is one of three business schools in the Louisville metro area. The school’s primary goal is strengthening the school’s community outreach, it backs several programs such as economic outlook breakfasts, a speaker series, CEO roundtables, MBA community service projects, an entrepreneurship academy, a financial markets lab and professional sales lab. Upcoming priorities include forming a business accelerator and entrepreneurship center, re-establishing a regional economic development position and offering more non-credit programs to the public. Issue-based research on such topics as poverty, public finance tools for economic development in southern Indiana, veterans affairs and early childhood education and care. Later this spring, CREED — with the assistance of IU partner and CivicLab Executive Director Jack Hess — will begin updating its strategic direction and charter. Steps include reviewing strategic plans of key Indiana economic development organizations and initiatives such as the IU Bicentennial Strategic Plan, Indiana Chamber Vision 2025, Indiana Economic Development Corp. initiatives (such as the Regional Cities program, entrepreneurship and innovation), regional chambers of commerce and other economic development organizations. 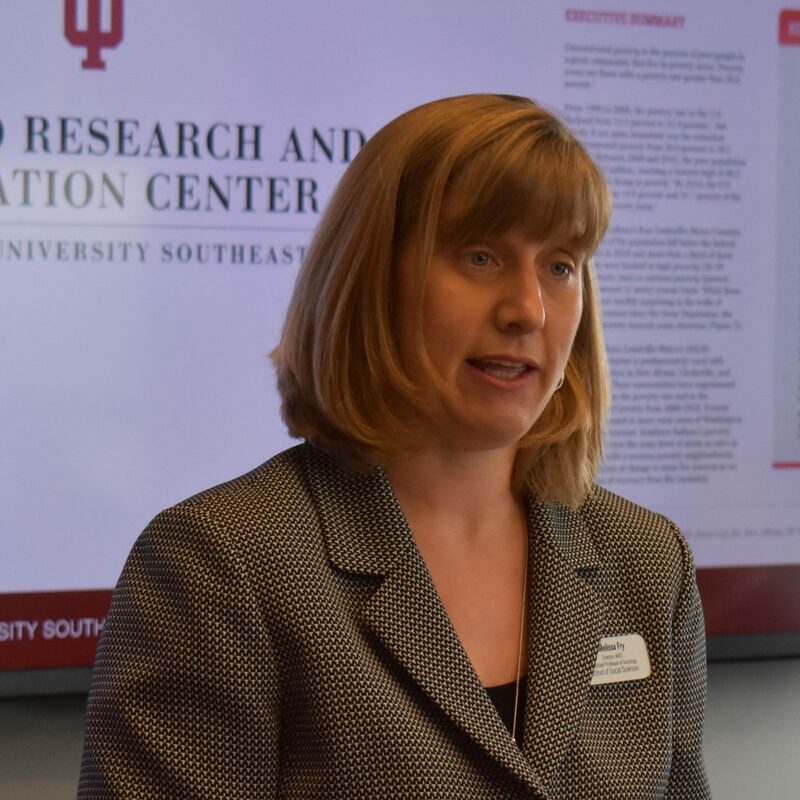 Likewise, officials with the IU Foundation, IU’s Office of the Vice President of Research, CREED representatives and other key officials will hold lunch meetings at various regional campuses in the coming months. These meetings will foster discussion on how each campus can enhance and expand relations with their regional corporate partners, as well as leverage relationships with corporations in which IU alumni hold senior positions. 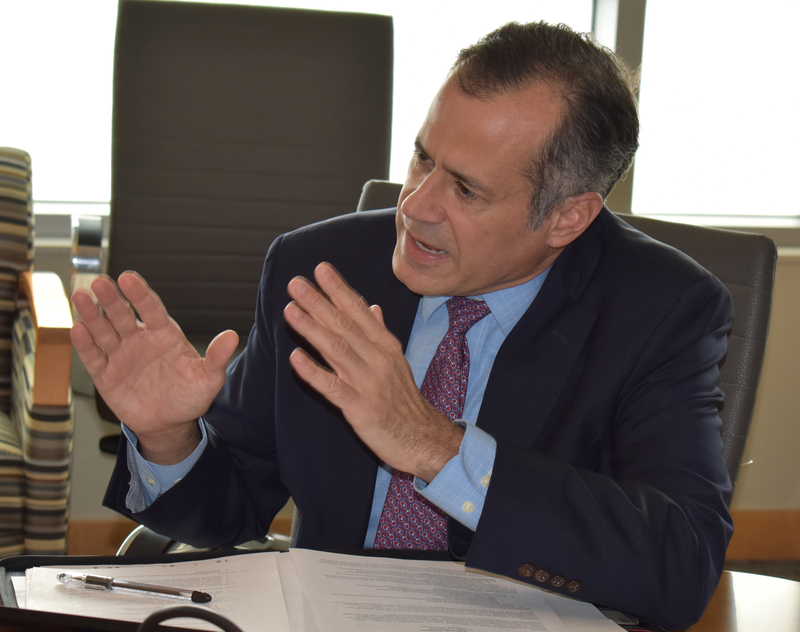 The workshop was proposed by Karl Besel, assistant dean and director of IUN’s School of Public and Environmental Affairs.